Views of Lyon is intended both for local people and those just passing throught. It provides a glimpse of different quartiers, in a spiral trajectory that gœs from the Lumière brothers’ house to the Palais Saint-Pierre, crossing the Rhône and the Saône. There are visits to Gerland, the Confluence, Fourvière, the Croix-Rousse, the Part-Dieu and the old city. The journey ends in what is now the centre of Lyon, Place des Terreaux. The affectionate, perceptive drawings are by Vincent Brunot, who has carried out the same exercice in Venice, Marseille and Ile de Ré. 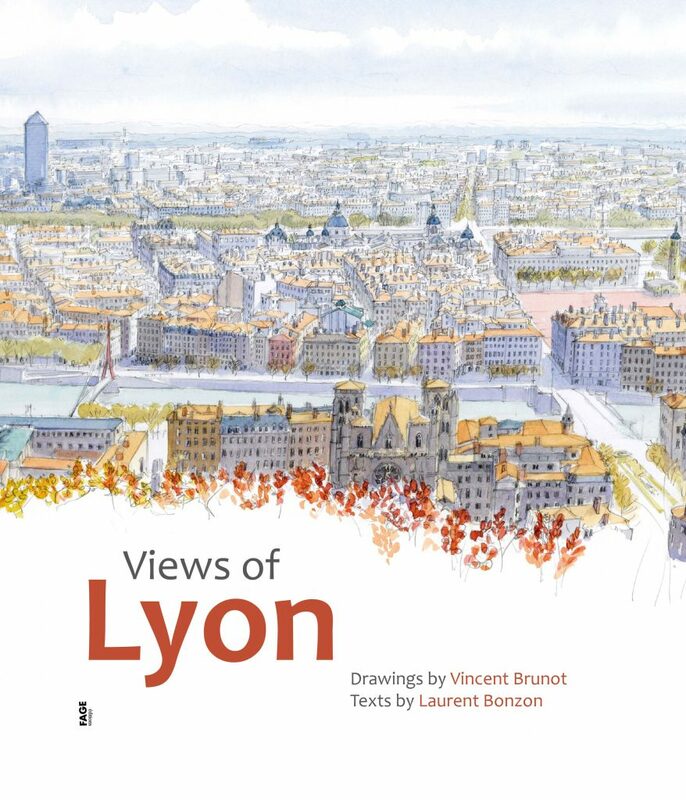 The accompanying lively vignettes, by Laurent Bonzon, give a contemporary perspective on this major European city, which is a UNESCO heritage site. Vincent Brunot was born in 1964 in the Paris suburb of Boulogne-Billancourt. After art school he joined Gallimard as an illustrator and cartographer, working in particular on the Guides collection, with its birds’ eye views of cities, regions and countries. He divides his time between Trieste, Lyon and Paris. Laurent Bonzon was born in 1964 in Mâcon, on the banks of the Saône, and now lives in Lyon. He works as a journalist and translator, and is the co-author, with Denis Bretin, of several thrillers, published between 2000 and 2010.